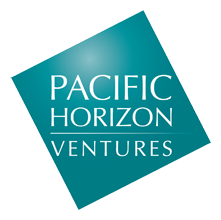 For more information, please see Pacific Horizon Venture's Valuation Policy. Koronis Pharma, Inc. is developing drugs for the treatment of chronic viral diseases, initially targeting HIV and the Hepatitis C Virus. The company's "Viral Decay Acceleration" mechanism developed at the University of Washington and MIT presents a completely novel antiviral therapeutic designed to alter the genetic foundation of virus and avoid drug resistance. ViaCyte, Inc. is engaged in the development of novel therapies for the treatment of insulin-dependent diabetes. A cell expansion program promises to increase the available supply of transplantable human pancreatic islets and a cell encapsulation program will permit transplants without immunosuppression. Argos Therapeutics is a biopharmaceutical company focused on the development and commercialization of fully personalized immunotherapies for the treatment of cancer and infectious diseases. AtheroGenics is focused on the treatment of chronic inflammatory diseases, including diabetes and coronary heart disease. In 2009, AtheroGenics entered into an asset-purchase agreement with Crabtree Acquisition Co. LLC. Carewise operates a nurse referral service that delivers specific information about various medical conditions and concerns directly to healthcare consumer. The company was acquired by PhyCor in June 1998. Cell Pathways focused on the development and commercialization of novel compounds to prevent and treat cancer. In 2003, Cell Pathways was acquired by OSI Pharmaceuticals. Diametrics Medical manufactures and markets proprietary blood chemistry analysis systems that give immediate diagnostic results at the patient point of care. Focal develops, manufactures and commercializes synthetic, absorbable, liquid surgical sealants based on the company's proprietary polymer technology. Health Systems Technologies developed software systems for managed care organizations to provide integrated information. The company failed was liquidated in 1999. Illumigen Biosciences used proprietary genetic technologies to identify naturally occurring health-inducing mutations. In 2007, Illumigen was acquired by Cubist Pharmaceuticals. Inhibitex is a biopharmaceutical company focusing on treatment for bacterial and viral infections. In 2012, the company was acquired by Bristol-Myers Squibb Co.
iScience is a medical device company focused on the development and commercialization of innovative imaging systems and microsurgical instruments for the minimally invasive treatment of glaucoma. NeoPath developed the AutoPap Primary Screening System to distinguish between normal and abnormal Pap smears. In 1999, NeoPath merged with AutoCyte, Inc. to form TriPath Imaging, Inc.
Norian was formed in 1987 to develop skeletal repair systems. In 1999, Norian was acquired by Synthes-Stratec, Inc.
Orquest develops and commercializes biological matrices that direct the regeneration of bone, cartilage, and other soft skeletal tissue. Orquest was purchased by Depuy Acromed, a subsidiary of Johnson & Johnson in 2003. Rasiris focused on the development of a revolutionary approach to the use of photodynamic therapy (PDT) and the treatments of breast cancer and age-related macular degeneration. The company was dissolved in 2011. Sapient Health Network is now part of WebMD. SleepMed is the nation's leading provider of diagnostic and treatment services for sleep disorders and epilepsy. Tandem Medical is a medical device company that manufactures and sells an automated drug delivery system primarily for use in home-administered IV's. Therion Biologics was engaged in the development of therapeutic vaccines for cancer and preventive vaccines for AIDS. Therion was liquidated in 2006. Tissue Repair Company is a biopharmaceutical company with a clinical-stage focus on products that promote tissue repair. Transmolecular was enagaged in discovering, developing, and commercializing therapies for glioma, metastatic brain tumors, and cancers. In 2011, TransMolecular was acquired by Morphotek, Inc.
Trimeris was engaged in the commercialization of a class of fusion inhibitors for antiviral drug treatments, and is the developer of the HIV drug Fuzeon. In 2011, the company merged with Synageva Biopharma. VitaGen, a biotechnology and medical products company, developed one of the world's first external artificial human livers. VitaGen was liquidated in April 2003. The following companies were mostly part of our initial fund, KLP's portfolio, which had a broader technology focus. Coral Systems was acquired by Lightbridge Inc. in September 1997. Lightbridge provides customer relationship management solutions to communication service providers. CMC was founded in 1987 to publish The New England Journal of Medicine on CD-ROM format. CMC was acquired by IHSG in 1995. Edmark is a leading developer and publisher of quality consumer and education software for kindergarten through 12th grade. Edmark was acquired by IBM in 1996. In 1998, Innova was acquired by DMC Stratex Networks, Inc. DMC Stratex Networks, Inc., is one of the world's foremost solutions providers for broadband wireless access. Proxim Wireless Corporation (OTCQX: PRXM) is a leading provider of end-to-end broadband wireless systems. RTIME provides networking software that enables real-time performance for multi-player, internet games. RTIME was acquired by Sony Computer Entertainment America, Inc. in 2000.